Welcome to our official stop on the blog our. We hope you enjoy!! Uniting the worldbuilding of a Brandon Sanderson with the storytelling verve of a Patrick Rothfuss, debut author Jenn Lyons delivers an entirely new and captivating fantasy epic. Prepare to meet the genre’s next star. Imagine everything you’ve been told and taught was a total fabrication. And the only way you learn the truth is with total destruction and gore. This is exactly how Kihrin learns the truth. That maybe he isn’t supposed to be that hero but the villain who sets the world ablaze. The characters were really built up and you learn so much about them in such a short period of time. The backstories were something that continued to grow and I don’t think we’re quite done yet. But the different pov’s was a tad bit confusing and takes some time to get used to but once you make it things start to get better. 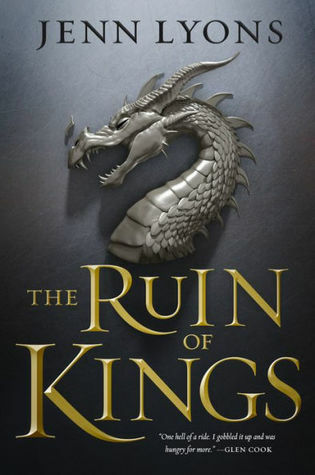 The Ruin of Kings is a slow-burn complex epic fantasy with fascinating world building and a dark, deep storyline that is rather unique. Fantasy lovers will rejoice at this said-be hero who was truly meant for villainy. Beware of the Demon who screams at you in all caps!! – 2 Winners will receive an Exclusive THE RUIN OF KINGS by Jenn Lyons Gift Box (ARC, A Dragon Pint Glass and a Dragon Bookmark). – 2 Winners will receive a Copy of THE RUIN OF KINGS by Jenn Lyons . Click on the link below to enter. Good Luck! Jenn Lyons lives in Atlanta, Georgia, with her husband, three cats, and a lot of opinions on anything from the Sumerian creation myths to the correct way to make a martini. At various points in her life, she has wanted to be an archaeologist, anthropologist, architect, diamond cutter, fashion illustrator, graphic designer, or Batman. Turning from such obvious trades, she is now a video game producer by day, and spends her evenings writing science fiction and fantasy. When not writing, she can be founding debating the Oxford comma and Joss Whedon’s oeuvre at various local coffee shops. 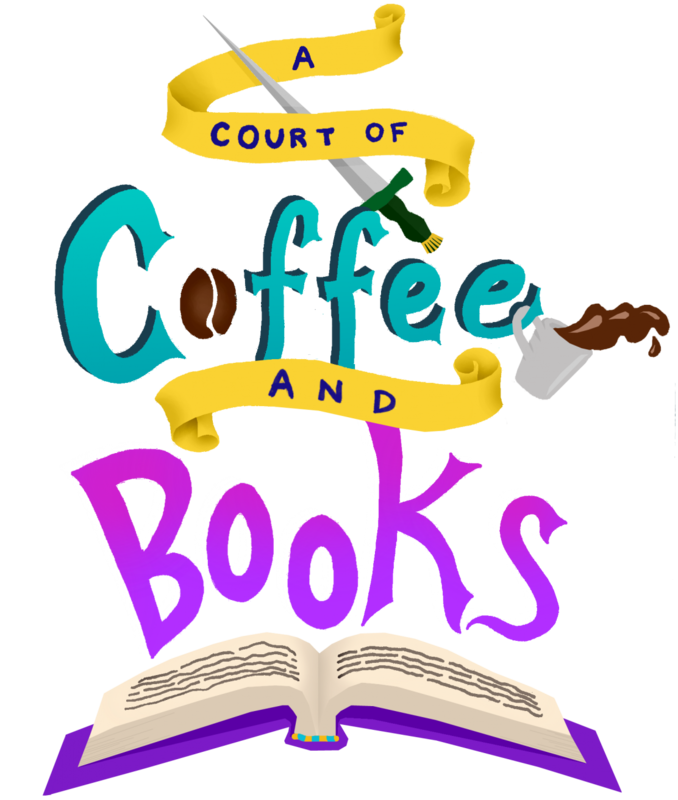 Thank you Jean Book Nerd, Tor, and Jenn Lyons for allowing us to be a part of this amazing blog tour. Click on the button below to see more about this tour and information about upcoming tours. Happy Monday! This is going to be a quick post because I’m not feeling that well. But this is what I plan on reading this week. Four walls. One window. No way to escape. Hannah knows there’s been a mistake. She didn’t need to be institutionalized. What happened to her roommate at her summer program was an accident. As soon as the doctors and judge figure out that she isn’t a danger to herself or others, she can go home to start her senior year. In the meantime, she is going to use her persuasive skills to get the staff on her side. Then Lucy arrives. Lucy has her own baggage. 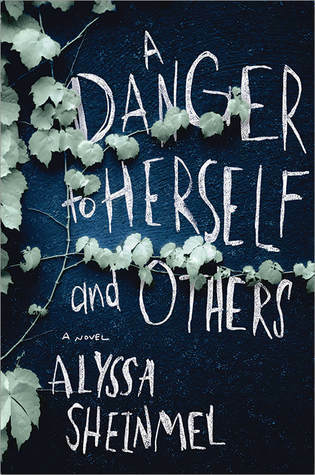 And she may be the only person who can get Hannah to confront the dangerous games and secrets that landed her in confinement in the first place. Far from living the dream, Kihrin finds himself practically a prisoner, at the mercy of his new family’s power plays and ambitions. He also discovers that the storybooks have lied about a lot of other things, too: dragons, demons, gods, prophecies, true love, and how the hero always wins.